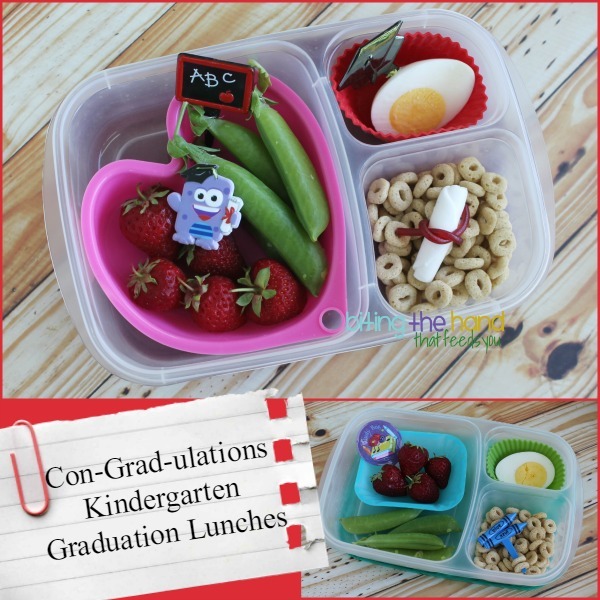 Biting The Hand That Feeds You: Con-Grad-ulations Graduation School Lunch! 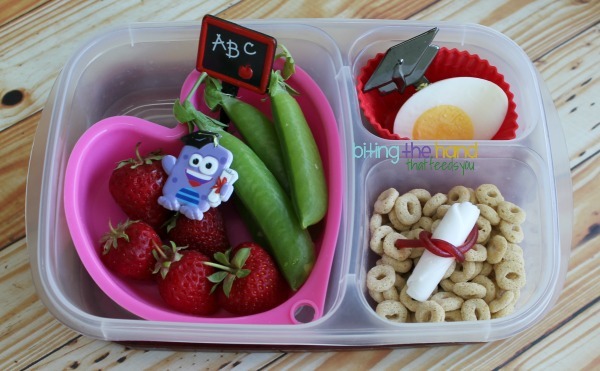 Last June when Z graduated from Kindergarten, I made her a special lunch. 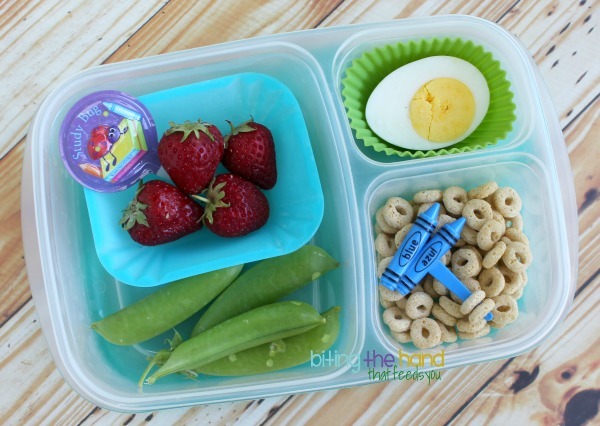 Since I had my school-related picks and such out, I went ahead and made a schoolery lunch for the toddler as well! I've been sitting on these pics all year just in time for the end of the 2014-15 school year! Since I tried to include a heart in each lunch during her Kindergarten year, I packed the fruit and veggie in a heart baking mold. The ABC chalkboard pick and the little graduating monster ring (got at an end-of-year potluck picnic off a cupcake the year before!) were just for fun. I also added a graduation cap pick in with her hardboiled egg. After rolling up the flattened taffy, I took a snip of dye-free/gluten-free Candy Tree licorice lace to tie it up! Little Sister's egg yolk is cracked because it was my first attempt to skewer Big Sister's egg. Oops! Still tastes good though!